When trying to distinguish the relationships between certain commodities and currencies around the world it helps to realize that situations can change and the relationships are fluid. However, there are some time-tested relationships that have been established over the years that may continue to hold true well in to the 21st century. 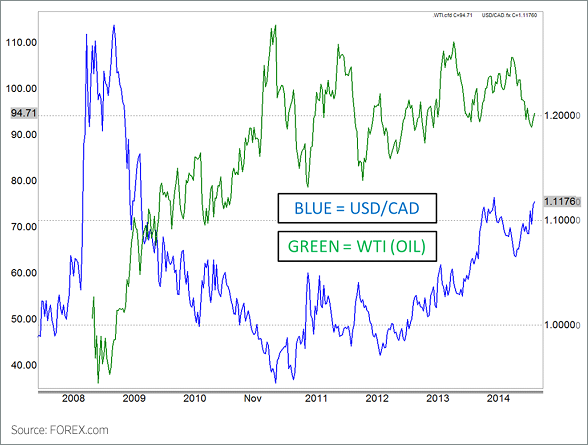 Let’s take a look at a few of the most reliable correlations between commodities and the currencies they influence. The prevailing thought around trading circles is that Gold and the AUD/USD (Australian Dollar / U.S. Dollar) is the ultimate correlation to follow, however, Silver is actually more reliable. It’s no secret that Australia has a significant portion of their economy tied to mining, but most don’t realize the scale with over 2% of the workforce employed by it, over 5% of the GDP relying upon it, and it contributes around 35% of the nation’s exports. 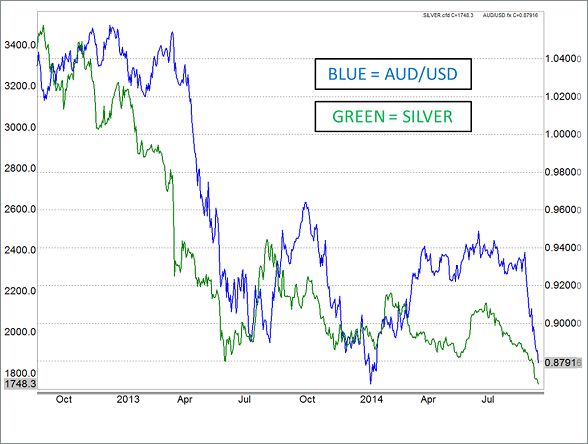 Therefore, the fluctuations of the metal market have a large impact on the outlook for the AUD. West Texas Intermediate or WTI is the main type of oil traded in North America and is incredibly influential to the Canadian economy. It’s no secret that the U.S. is the world’s foremost consumer of oil (at nearly 19 million barrels per day (bpd), well ahead of 2nd place China at almost 11 million bpd), but many people don’t realize how they get said oil. Many make the false assumption that Saudi Arabia is the nation with which it relies on a majority of its oil imports, but a third of oil imports comes from Canada, with Saudi Arabia contributing just over 17%. Interestingly, out of the 19 million bpd the US consumes 10 million bpd are produced in-house, but since Canada exports so much oil to their larger neighbors to the south, their currency is intrinsically tied to the value of the black gold. Brent Crude Oil is the version of oil that is extracted from the North Sea, and is therefore mostly traded actively in Europe. 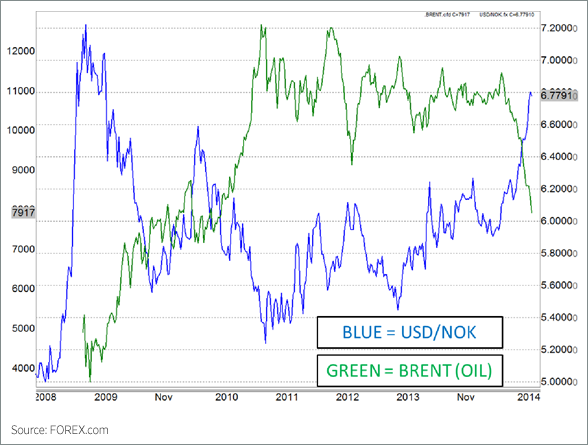 There are a variety of nations that have access to the oil in the North Sea, but it is estimated that the Norwegian section contains about 54% of the sea’s oil reserves, therefore is highly influenced by the price. On the world stage, Norway is the fifth-largest oil exporter and third-largest gas exporter with those industries comprising more than 20% of Norway’s GDP. While these correlations are the most recognized and reliable in the early part of the 21st century, it doesn’t mean that they are the only ones. There are plenty of commodities around the world, and the ever-changing global landscape means that certain industries will diminish while others rise up. According to some estimates, the known oil reserves will only supply the world until around 2040, after which we may have to find another form of making our machinations operate. Some believe that Bolivia will be the next Saudi Arabia due to their extensive reserves of Lithium that is an integral ingredient to electric car batteries. So keep your eyes open for new correlations that may arise as old industries fade, and new ones take their place.